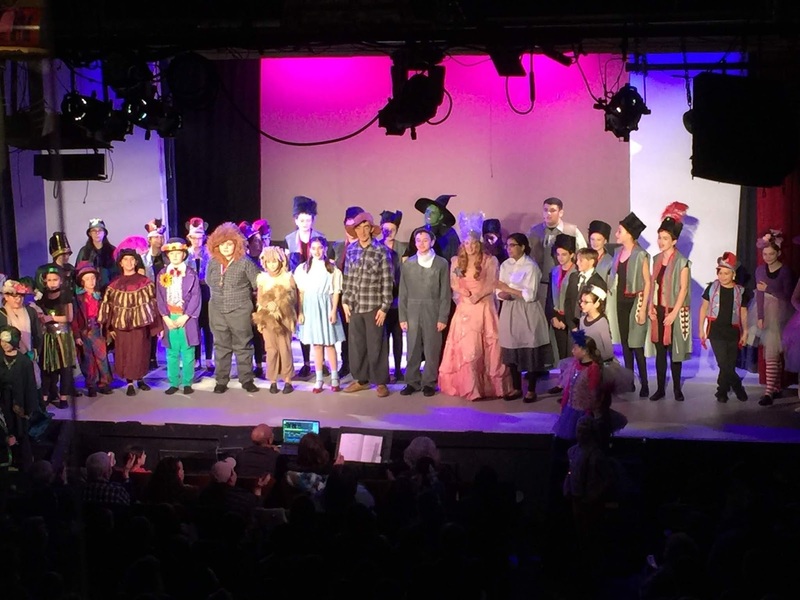 The RTC Young People's Musical Theatre Workshops’ presentation of the Wizard of Oz opened last weekend, with two weekends to go. With an enormous talent pool of a hundred children and teens, the producers created two entire casts which will split the ten performances. I saw the Emerald cast while video taping upstairs from the booth and can’t wait to go back to see the Ruby cast this weekend. Walk the yellow brick road right to your seats. There are four performances this weekend (Feb. 1-3): Friday and Saturday night at 7 PM and Saturday and Sunday matinees at 3PM. Emerald and Ruby casts will each be doing two performances. The final weekend (Feb. 8-10) will belong to the Ruby cast with two evening performances on Friday and Saturday night at 7PM and the closing performance on Sunday at 3PM. The Emerald cast will join Ruby for the closing party, which I intend to crash because I hear the guy catering is offering some tasty delights. Last Sunday’s class focused on getting touch with your emotions – learning triggers you can use. There were so many people crying, we needed umbrellas. Frank paired us up for doing short 6 minute scenes and suggested me and another gentleman in my rough age range do a scene from Sunshine Boys, type casting me as a grouchy old man with some physical ailments. I don’t even have to act. But I wanted something for a bit younger man – how about Rebel Without a Cause? Frank suggested The Odd Couple, still two grouchy men but not quite as old. I’ll take it. We still haven’t decided if I’m Oscar or Felix. My wife votes for Oscar since she feels I won’t have to act to be a slob. Synopsis: One hotel suite, four tenors, two wives, three girlfriends, and a soccer stadium filled with screaming fans. What could possibly go wrong? It’s 1930s Paris and the stage is set for the concert of the century – as long as producer Henry Saunders can keep Italian superstar Tito Merelli and his hot-blooded wife, Maira, from causing runaway chaos. Prepare for an uproarious ride, full of mistaken identities, bedroom hijinks, and madcap delight. Directors Peggy Page Press and Michael Wotypka are in rehearsals but Tony Homsey and his crew can’t put up the set until the week of February 11 after the children’s show closes. But we have been building and storing the ten foot flats we will need to build the set, a set with doors galore, a feature of a Peggy Page production. (Tony has me the door knob guy on the crew.) Working with Tony’s crew and seeing a bare stage turn into something magical is an experience that makes going to even a Broadway show more meaningful. I so agree with your comment about how witnessing the transformation of a blank stage absolutely enhances one's appreciation for theatre. A truly good set design becomes a living breathing part of a show. 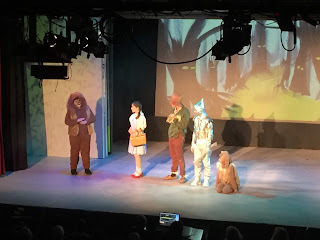 Every show I go to, from the smallest local company to a full Broadway show, I find myself searching for ideas to take back to my schools theatre program. Even now in this post I noticed something in the second picture that has my mind twirling around ideas for my schools latest production.